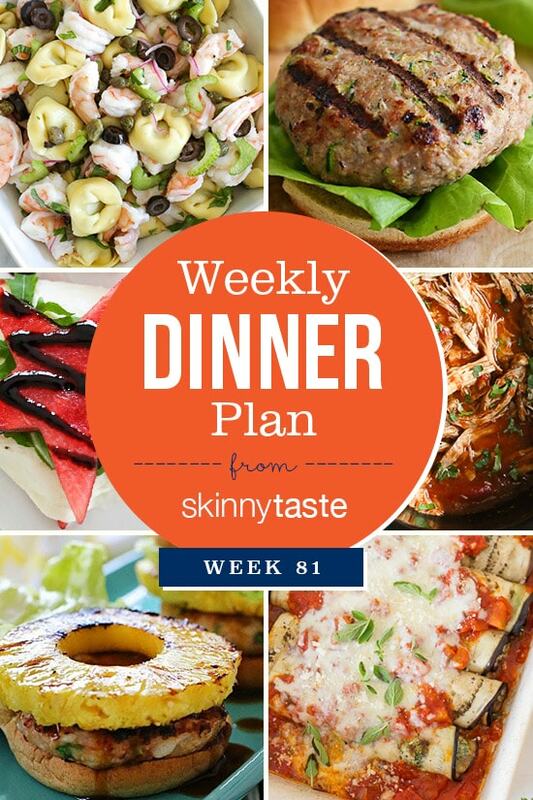 Skinnytaste Dinner Plan (Week 81). Hope you all enjoy your Holiday weekend! I really appreciate these weekly plans for dinner, so I thank you for publishing them. Super helpful, and I am grateful. is the Smart Point value available for the shrimp burgers? The recipe link only gives old points and points plus.